Chugga chugga! Choo choo! Rev up your engine and toot your horn for a bumper book of sticker fun straight from the railway tracks! Colour the chuggers to give them a smart new paint job. Help to guide Harrison through a maze. Join the dots to complete fantastic pictures. Line up the trains in order of size. 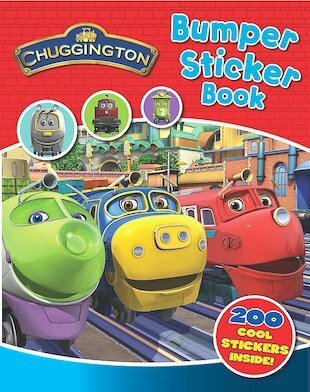 This book of mega excitement has over 100 cool stickers and a bonanza of train-tastic activities with Koko, Brewster, Wilson and the crew. All aboard for Chuggington!